Yeah. Before, this Mac is taken and returned to its master, we play Diablo 3 1st. As she sees it… The Munawars. Last night, Sara showed me these 5 hearts with much excitement. I was too tired and just nodded and smiled. Then I felt no good. Apa punya apak!! Show some interest la next time. Today she put these 5 hearts on the wall and told me that each of these hearts represent every one of us. To honor her enthusiasm, I put this picture online. Just in case, I miss this moment again. Moral : Always show interest to your daughter’s (actually all of your offsprings) piece of arts. While waiting for Abie (Me) to finish work, these two kiddies pose for a picture. Adam rarely poses for a snap. This is rare indeed. Last February, the Almighty has bestowed on us with another daughter. We named her Aurora Qistina Munawar. Just like any other babies, she was born ugly. The nature will make the necessary adjustments as it does to all babies. Here is Aurora Qistina Munawar or Munawar the Third. This is both Sara Munawar and Adam Munawar, Get Together Shirt. Bila gado aja. Kasi pakai ini baju. Gerenti baik selepas itu. While sorting out old images, I came across with this picture, the core values of Librarianship. These are the blocks and stones that define us… Librarians. Generally, there are 11 values that each librarian should believe and uphold. These are our commandments; our values; our honour; our codes… our sacred codes. By these lines, every librarian must believe. No! I am not going to explain these word by word. 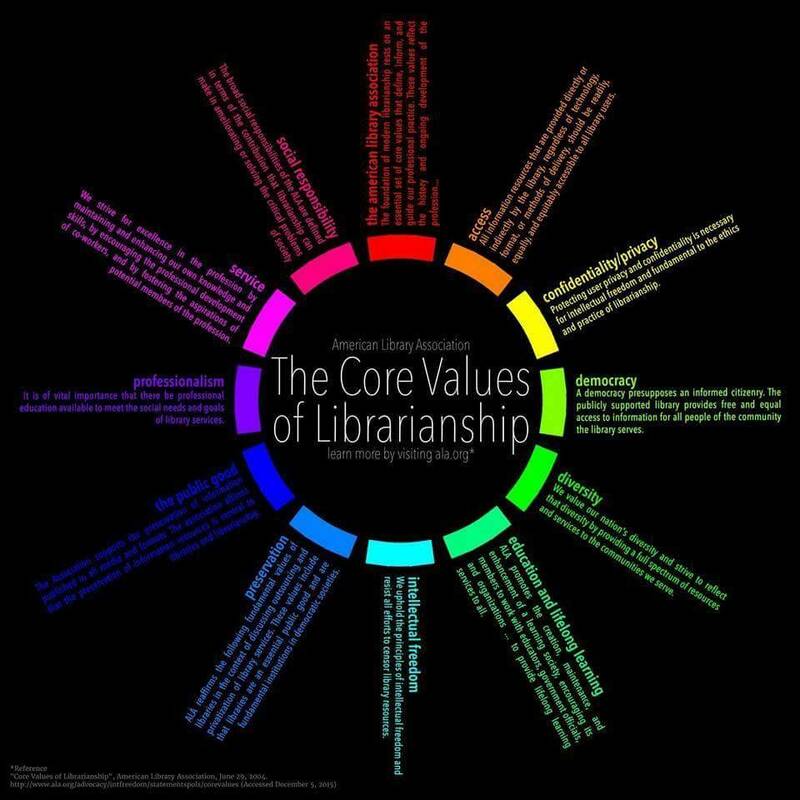 Head up to ALA: Core Values of Librarianship to learn more. 27 years later, we meet again BAS KITA. 7 years ago… I took your hand into my life.